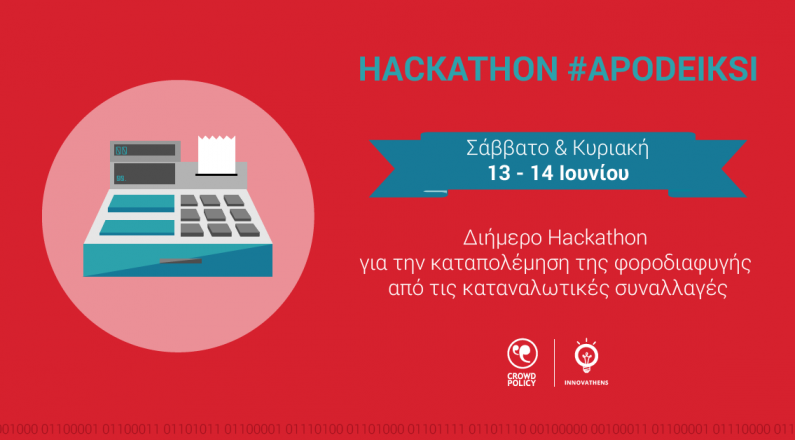 On 13 and 14 June 2015, Crowdpolicy, in collaboration with INNOVATHENS, the Innovateens Innovative Technology and Entrepreneurship Unit of the City of Athens, organized a two-day Crowdhackathon #apodeiksi on the implementation of a mobile app mobile app to combat tax evasion from consumer transactions . Below is the general presentation of the event as well as the presentations of the winners of the competition. Giannis Karalis, MADP Senior Product Manager, GLOBO Mobile S.A.
See photos from Crowdhackathon #apodeiksi here.